Kantishna Roadhouse is pleased to present a series of 3-day events this summer with the “Forest & Rock People of Earth Link Jewelry,” Leslie and George LaBar. 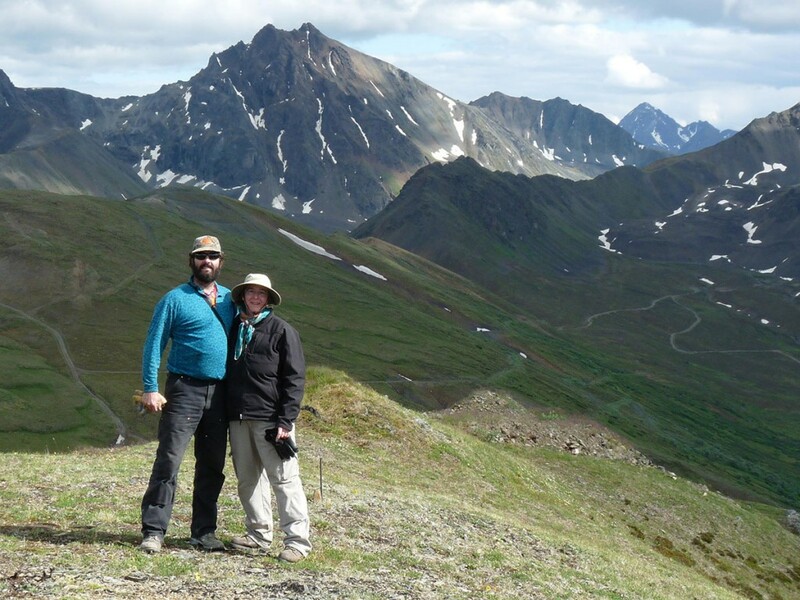 The LaBars are experienced naturalists who have spent many years exploring the interior of Alaska. They are lapidary artists, rock-hounds, and wild plant and outdoor instructors. The couple will host a program of guided walks and presentations on June 17-19, July 29-31 and August 26-28. Kantishna Roadhouse guests will have the opportunity to learn firsthand about wild plants found in Denali National Park, including their uses as food and natural remedies. The LaBars will also share their experiences foraging and gathering rocks, crystals, and other raw materials throughout the wild lands of Alaska for their lapidary jewelry creation. They will host an evening slide presentation featuring photographs of their seasonal activities, from gathering stones and crystals to foraging, fishing, hunting and teaching about Alaska’s natural resources. If you are interested in getting an in-depth view of Alaskan geology, gemology and botany, we encourage you to make your reservations now for one of these three special programs hosted by the LaBars. Make your online reservation here, or call us at 1-800-942-7420.